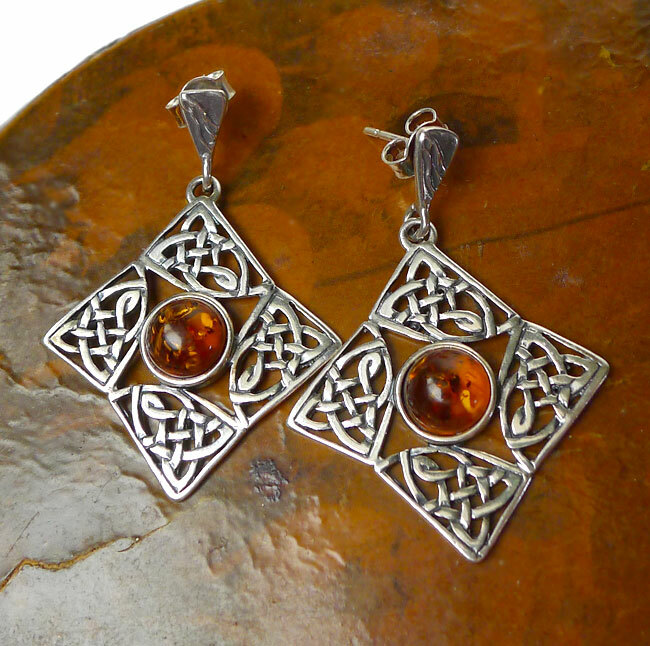 Genuine Baltic Amber Solid Sterling Silver Celtic Knot Earrings - Capture the Celtic Spirit with these Enchanting, mystical earrings crafted in Solid Sterling Silver and Glowing Baltic Amber. 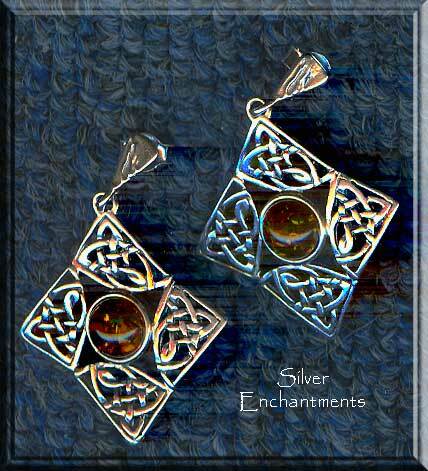 Celtic knotwork honors the spirit of the Irish, the Scottish, the Welsh, the British, and anyone with Celtic heritage. And even if you have no Celtic blood in your veins, if you honor Mother Earth and believe in the spiritual connection between all living things, then you definitely have a Celtic soul. Amber has a very rich history. The earliest accounts of amber’s medicinal properties are found in the works of Hippocrates, who is known as the father of medicine, and Pliny the Elder. 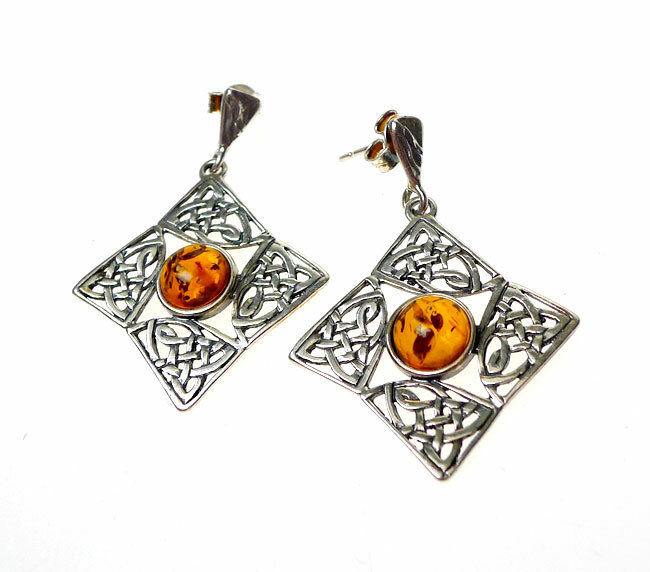 Wearing amber was thought to be beneficial to sufferers of rheumatism and arthritis and reduced fatigue and feelings of general weariness. Amber is technically not a gemstone or mineral, but a fossilized sap from prehistoric trees that has aged over the course of millions of years. 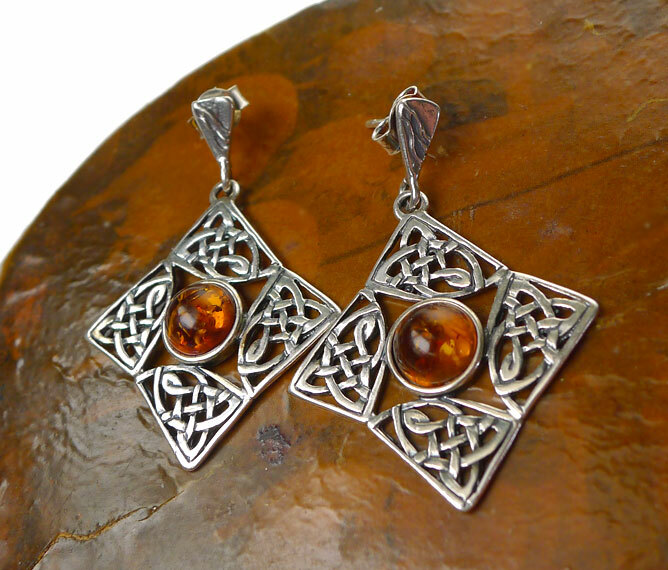 Wear amber to attract warm, loyal, and generous people into your life; or carry amber on your person to lend logic or wit to a difficult situation.